Past Projects | Help Send KNES Students to the ACSM Conference! Help Send KNES Students to the ACSM Conference! SUPPORT THE PROFESSIONAL DEVELOPMENT OF OUR STUDENTS! 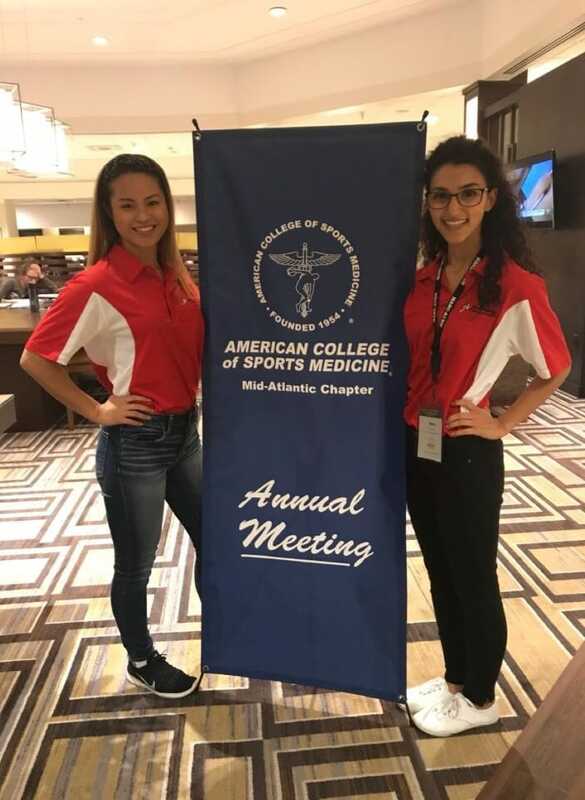 For years, the Department of Kinesiology has sponsored a small group of undergraduate students to attend the Mid-Atlantic Regional Chapter of the American College of Sports Medicine (MARC-ACSM) regional conference in Harrisburg, PA. Interest and enthusiasm to attend this important conference has grown, but the resources of the department have not. We've created this crowdfunding campaign so that our generous extended community can help send 20 students to the regional conference this year. The student registration fee is $60, and the conference hotel is $300 (with taxes) for the whole 2-day meeting. Students will share rooms and will carpool to the meeting. In honor of the Department of Kinesiology’s 125th anniversary on campus, this campaign will continue through Homecoming weekend to allow us the opportunity to reach the broadest range of our community. All contributions count! A donation at this level pays for one third of a year long membership to the American College of Sports Medicine. It also can help reach our overall goal! A donation at this level will pay for one year's membership to the American College of Sports Medicine. This reduces the registration costs by $20 for one student. A donation at this level will pay for one student's full registration for the conference. A donation at this level will help cover the transportation costs of sending 20 students to the conference.